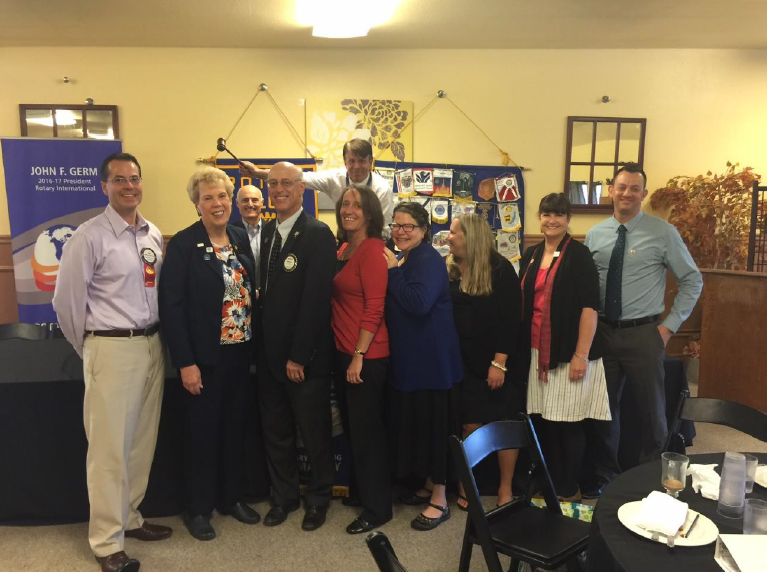 On September 13, we welcomed District Governor Barbara Tracy to our club. Barbara was joined by her husband Jim, AKA the District Governor’s Detail Man, and ADG JR Springer. The night before, our club board had a chance to tell Barbara all the wonderful things our small club accomplishes, and our breakfast meeting gave Barbara a chance to share her goals and vision for the district with us. When she had a chance to go on an international trip to deliver wheelchairs to polio victims, Barbara began to feel the power of Rotary. So her theme for this year – Feel the Power – reflects her first-hand knowledge of the way Rotary changes the world.